Holistic Horse Health: How’s your horsemanship? 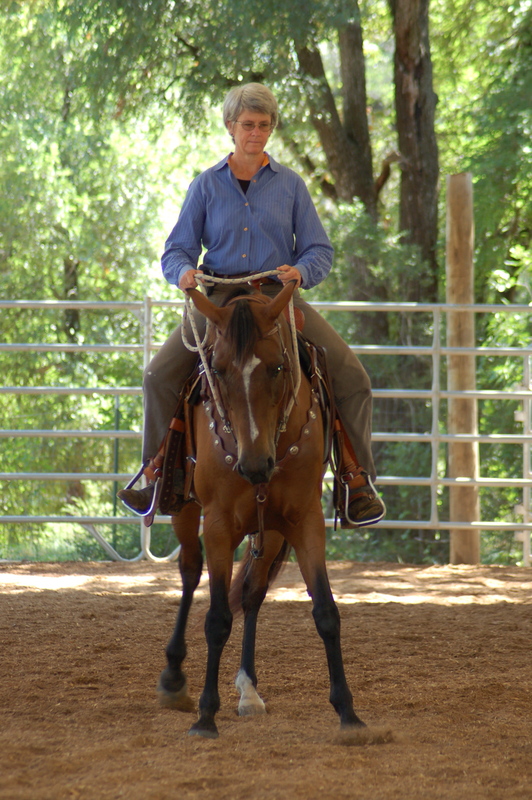 I have known for many years that horsemanship is an important part of any holistic horse health program. I started my journey of understanding horsemanship about 25 years ago when I was introduced to Linda Tellington Jones. Following LTJ came my good friend Linda Hoover who introduced me to horsemanship icons such as Ray Hunt, Buck Brannaman and Tom Curtain. All learning curves involve a process and some pain as one realizes how much there is to learn. I existed for many years with my horsemanship in a state of blissful, unconscious, incompetence. In other words, I thought I knew a lot and expected my horses to do what I wanted even though I offered them little support. I got bucked off or run away with a few times but I looked at these episodes as anomalies in my otherwise stellar riding accomplishments. As I spent more time observing great horsemen and women, doubt began to creep into my being and I entered into another learning phase, conscious incompetence. I began to realize just how much my horses and mules had been filling in for my lack of skills. This was an extremely uncomfortable state and I remained there for almost 10 years. It seemed the skills possessed by my mentors were outside my grasp and I had so many bad habits to unlearn. There were times when I thought I might not even want to ride at all now that I knew how many things I was doing wrong. I understood, however, how important good horsemanship was to any holistic horse health program so I persisted in spite of my lack of confidence. This past spring has finally brought me some breakthroughs. I have audited several clinics and taken a few private lesson with Linda Hoover. There are hints that I am moving into a new phase, conscious competence. In this phase I can recognize a problem with a horse and actually offer him support. I can help him find his way out of a resistant brace and into softness. As long as I pay very close attention, I can anticipate a problem and head it off before a horse wreck happens. This entry was posted in General Horse Care, Horse Health Care and tagged holistic horse health, horsemanship on April 6, 2011 by Madalyn Ward, DVM. …………………..Forum Home……The Equine Tourism Community – Forum Welcome.– Forum Welcome.—- Hello to New Members!.—- Need Help with the Forum.—- Forum Rules.The Horse Agility Community – Forums.– The Horse Agility Community.—- Welcome Introduce Yourself.—- The Horse Agility Club .—- Horse Agility CHAT.—- Horse Agility Horses Ponies.—- OHLA! Online Horse Agility Competition.—- The Horse Agility Club Competition League .—- Horse Agility Events Demos Activities.—- Horse Agility Training Development.—- Horse Agility Accredited Trainers.—- Members Horse Agility Chat.Equine Tourism – Horse Holidays Equestrian Activities Forums.– Equestrian Activities Disciplines Training.– Equestrian Shows Events Results.– Holidays Horseback Vacations.—- Ranch Vacations Experiences.—- UK Horse Riding Holidays.The ET Community Forums – News Horsemanship Chat.– NEWS – Equestrian News Announcements.– Editorial – NEW Articles Videos Blogs.—- Video YouTube Links – Equestrian.– Horsey Chat.—- Giggles.– Horsemanship Discussion.—- Equine Welfare Horse Care Problem Solving.—- Natural Horsemanship Holistic Horse Care.Horse Pony Breeds of the World and Donkeys Burros Mules Zebras .– Horse Pony Donkey Breeds.– Wild Horses Ponies.– The Exmoor Pony Forum .—- Introduce Yourself Your Ponies.—- The Exmoor Pony Breed.—- Exmoor Pony Chat News.—- Socialisation Training Development.—- Exmoor Ponies for Sale Loan or Wanted.FREE CLASSIFIEDS – For Sale Wanted Lost or Stolen.– CLASSIFIEDS – For Sale or Wanted.– Lost or Stolen.Farming Smallholders.– Smallholders Corner.Members Enclosure – only viewable by Members of the Equine Tourism Community.– Members Enclosure………………………..